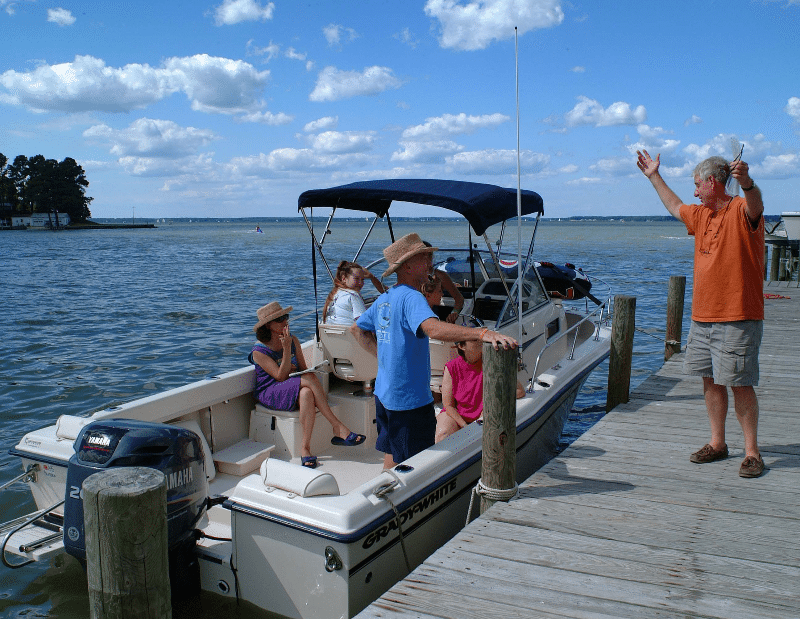 Stay and play by the Chesapeake Bay! There’s something at Grey’s Point Camp for everyone. Try your hand at fishing, crabbing, boating, sunbathing, swimming at the beach or one of our pools. Kids of all ages will love the splash pool and waterpark complex with water slides and sprayers! Recreational activities, theme weekends, train rides and live music keeps the fun going! Take a day trip into history with a short drive to Virginia’s “historic triangle” of Jamestown, Yorktown and Colonial Williamsburg. Along the way, browse through the many charming coastal towns. Inquire about group events. Make your reservation today! Events: Come see us for one of our exciting theme weekends this season filled with live entertainment! Our water park is open May 13-15, May 20-22, daily May 26-Sept 5, and weekends Sept. 9-11 and Sept. 16-18. Musical entertainment is scheduled throughout the season along with craft shows and daily family activities! Don’t miss our crab feast on August 13 with ALL-YOU-CAN-EAT steamed Chesapeake Bay blue crabs! Halloween is the best with three weekends of scary fun for the whole family! The 59th Annual Urbanna Oyster Festival is November 4 & 5! Enjoy this one of a kind festival in the nearby historic port town of Urbanna. There will be parades, events, crafts, and some of the best seafood you have ever tasted fresh from our local waters. Plan your vacation with us this season!